Stillwell was four times Australian National ‘Gold Star’ Champion from 1962 to 1965, his battles with rival Frank Matich in both single-seaters and in sports cars, Matich in his Lotus 19 or 19b, in the early sixties were legendary. Both were Australian Champions in both types of car and fierce rivals; Stillwell the Melbourne motor dealer/semi-professional racer and Matich, the Sydney based, and perhaps first truly professional Australian Driver. 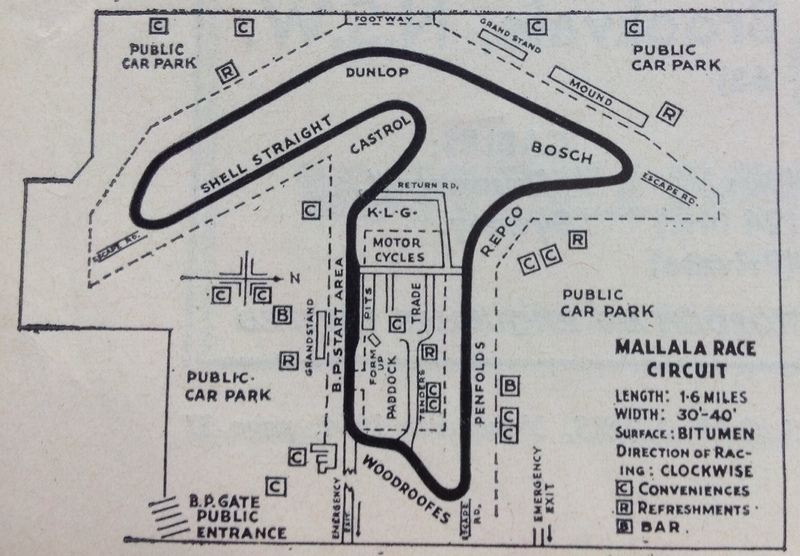 In Sports cars Stillwell won the ‘Australian Tourist Trophy’ in the Cooper Monaco in 1961 and 1962. Matich won it in 1964 in a Lotus 19b Climax, 1966 aboard an Elfin 400/Traco Olds, in 1967 in his first self built Matich SR3 Olds and in 1968 in a Matich SR3 Repco. The race was not contested in 1969 but Franks’ Matich SR4, powered by a 5 litre quad cam Repco ‘760 Series’ V8 was the fastest car in Australia of any sort that year. It was built to contest the CanAm Series in 1968 but was too late in completion to contest it. Bib acquired this ex-Moss, Keele Engineering car in the UK. 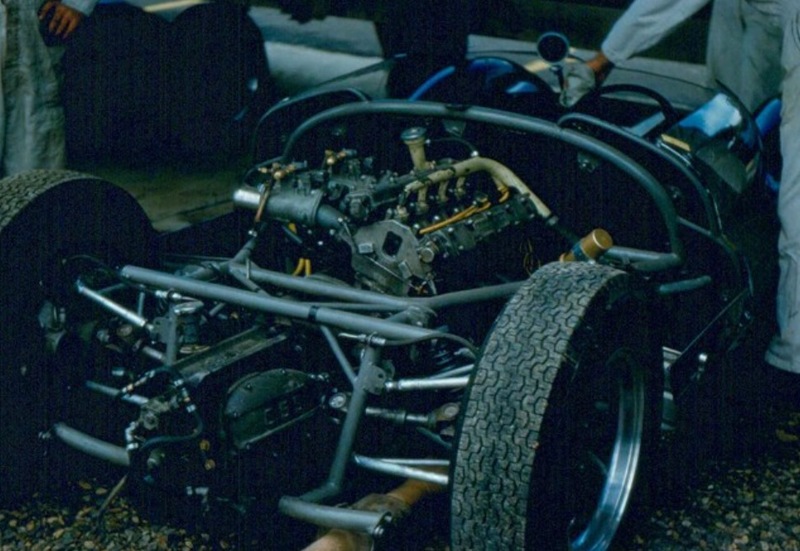 The chassis number of it is uncertain, but Doug Nye believes it to be the car ordered by Moss in April 1959 as a kit of parts ex-factory and built up by Keele Engineering. The Monaco was lightly raced by Moss commencing with the British GP meeting at Aintree in 1959. He raced the car in Scandinavia in August, it was then put to one side as he focussed on a Lotus 19 to which the engine and ‘box from the Monaco were fitted. 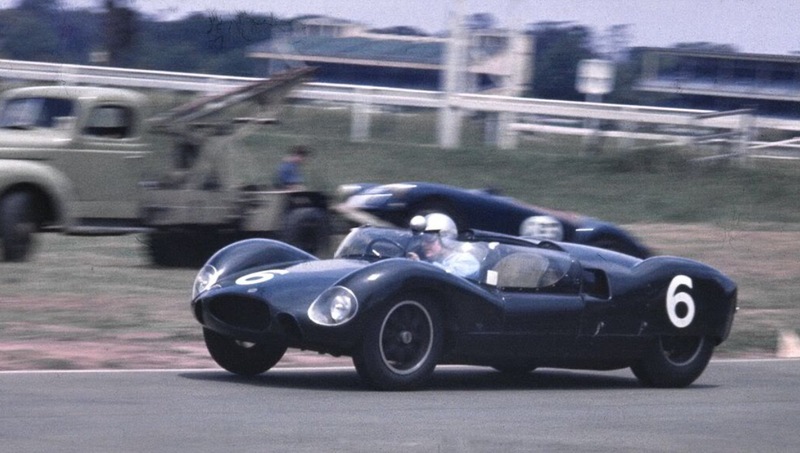 Bib bought the car off Moss on a trip to the UK in 1961, it was fitted with a 2.5 Litre Coventry Climax FPF four cylinder engine and gearbox out of one of his Cooper single-seaters upon arrival in Australia and was ready in time for the Australian Grand Prix meeting at Mallala in October 1961. 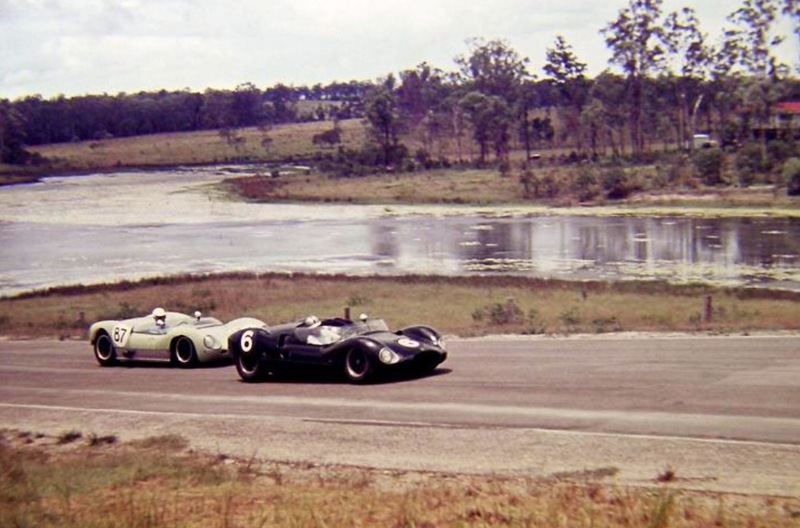 Stillwell raced both his Cooper T53 in the AGP, he finished second to Lex Davison, Lex driving Stillwells’ older Cooper T51, and the Cooper Monaco. 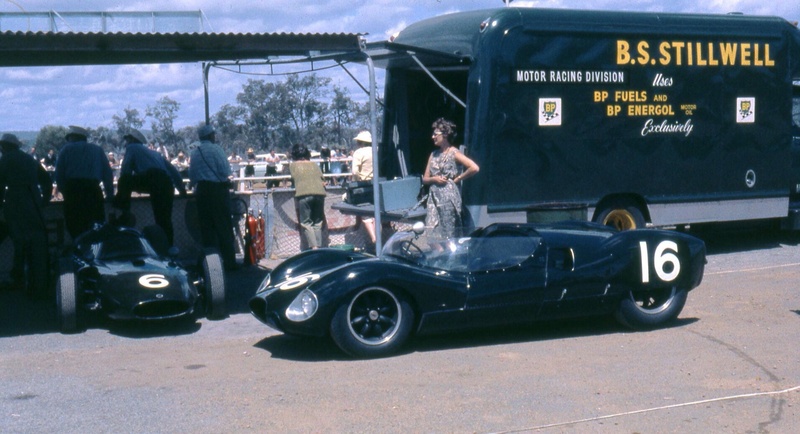 The car arrived in Australia with the standard leaf spring rear suspension configuration but Alf Francis modified the rear chassis bracketry to also allow the use of a coil spring/damper set-up, both were used in Oz. 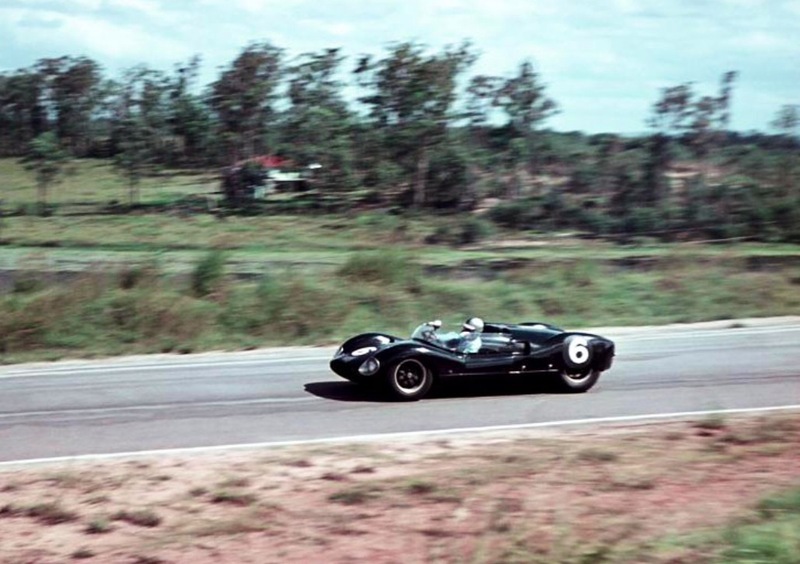 In Australia the car also raced with a 2.7 ‘Indy’ Climax FPF and in October 1964 was fitted with an ex-Scarab/ex-Arnold Glass BRM P48 Buick V8. Lance Reventlow sold one of his engines to Arnold Glass after the one off appearance of his Scarab RE Buick Intercontinental car at Sandown in March 1962, Glass replaced the BRM 4 cylinder engine with the lightweight 3.9 litre aluminium, pushrod V8. 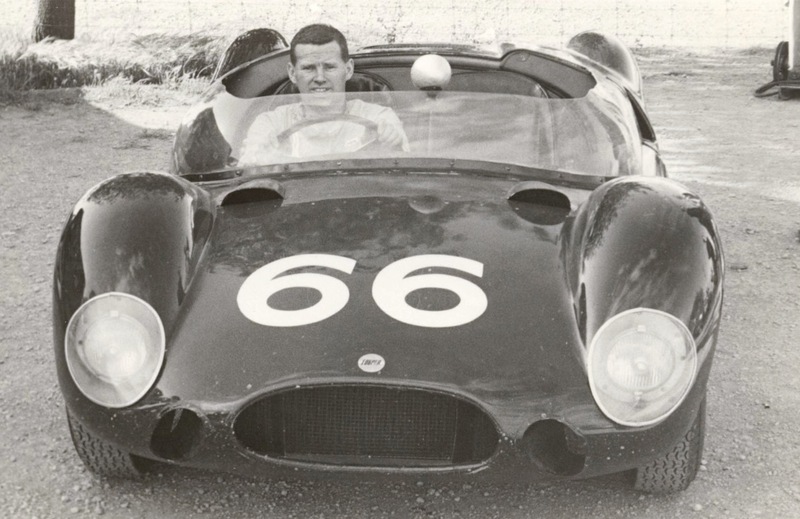 In Stillwells’ hands the car won the 1961 and 1962 Australian TT, the Victorian Sports Car Championship in 1962 and 1963 and the South Pacific Sports Car Championship in 1962. Later still it was fitted with an Olds V8 contesting the first Surfers Paradise 12 Hour race in the hands of Murray Carter and Tony Osborne. The car passed through many owners after Stillwell retired, but was eventually restored to original specification in Australia and now races in the UK. 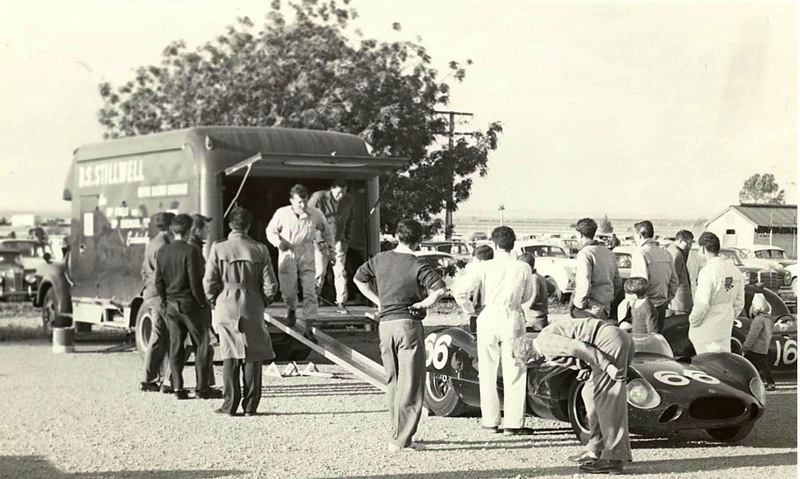 ‘Scuderia Stillwell’ arriving and unloading the Monaco and Cooper T53 at Mallala, South Australia Gold Star meeting in October 1962 after the long haul from their Kew, Melbourne base. Stillwell had a good start in life…he attended Trinity Grammar and Scotch College in Hawthorn and at 22 had parental support for his original small MG dealership in 1949 but over the decades grew his business. He was awarded a Holden franchise in 1953 operating from Cotham Road Kew, and later as a Ford, BMW and other prestige marques dealer building a large group with his own talent and entrepreneurial flair which prospers in his families hands today long after his death. His management skills were world class, his interests included aviation, after success in that field from the mid-sixties in Australia, distributing Beechcraft and later Lerjets he was appointed President of the Lear Corporation in the US in 1982, a position he held for 3 years before returning to Australia, a ‘second motor dealing career’ in luxury franchises and historic racing. He died on June 12 1999. I like this observation Michael Lynch made in his obituary of Bib published in the Melbourne ‘Age’ newspaper…’The links between business and sport, and the characteristics required to succeed in both, have often been drawn. Drive, determination, persistence, talent, luck, the ability to think outside the obvious and seize opportunities that others don’t see – and then make them work – are all characteristics shared variously by top sportsmen and the leading lights of the business world. Stillwell, who died suddenly last weekend from a heart attack, had all of them in good measure, showcasing them in both his sporting career, which ran until the mid-1960s, and then his business career, which was still being developed at the time of his death’. Winners are grinners! Stillwell in the Monaco at Mallala, October 1962, he took victories in both cars at this meeting, winning the Gold Star race in his Cooper T53, #16 car in the shot above, his first Gold Star Championship won in that year. The Cooper Type number is 49, the car being given the ‘Monaco’ name in recognition of Jack Brabhams’ victory in the 1959 Monaco Grand Prix, his first GP win on the way to his, and Coopers first World Championships as driver and constructor that year. Of typical curved Cooper space frame construction, the car owes most of its hardware to its single-seater siblings. Front suspension is by upper and lower wishbones and coil spring/ damper units with an adjustable roll bar. At the rear top location is provided by a transverse leaf spring, with a lower rear wishbone. Brakes are disc all around, steering rack and pinion and typical Cooper alloy wheels of the period were used. 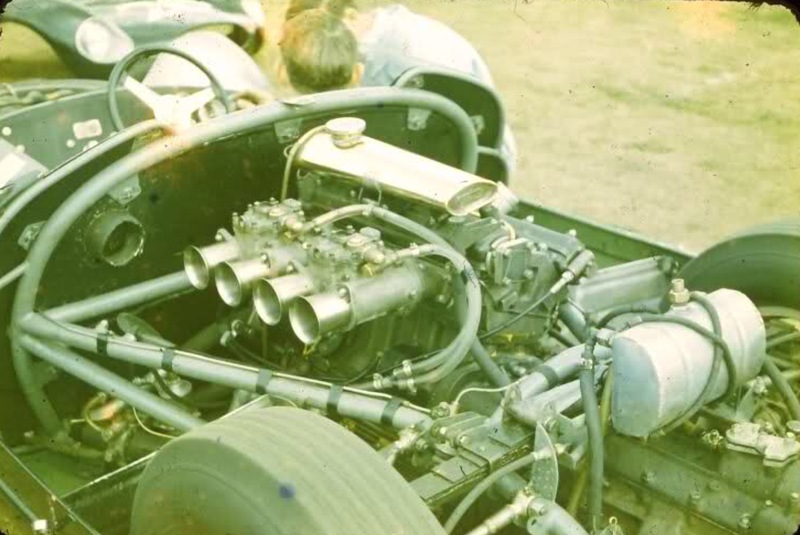 Most of the cars were fitted with Coventry Climax FPF engines of varying capacities, Stillwells’ mainly with a 2.5 but was raced with other engines as recorded above. 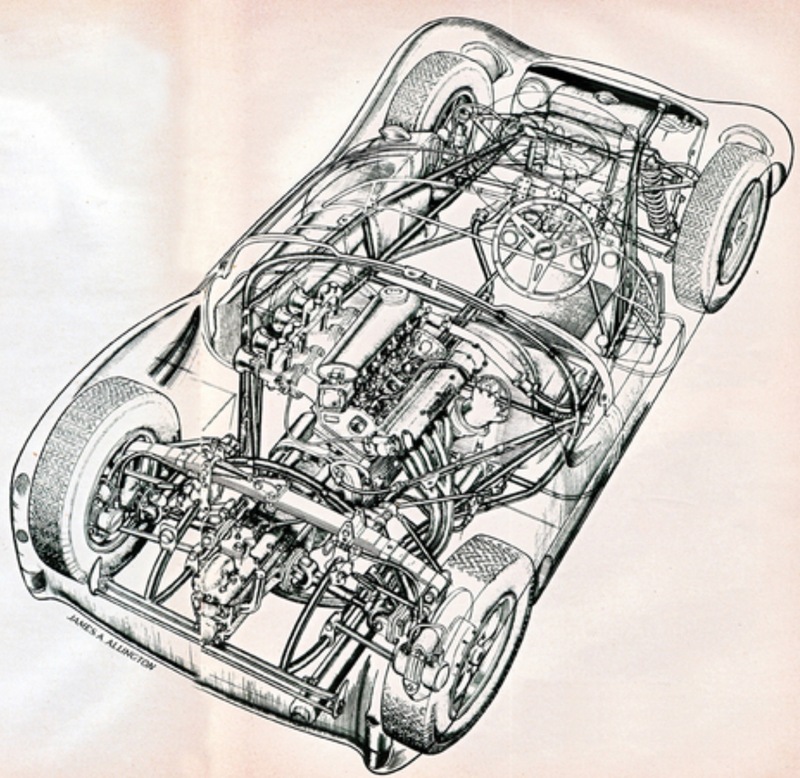 Gearbox was the Citroen ERSA or Colotti units. Open-wheeler is a Cooper T53 Climax- Bib was third in the AGP behind Bruce McLaren’s Cooper T62 and John Youl’s T55.